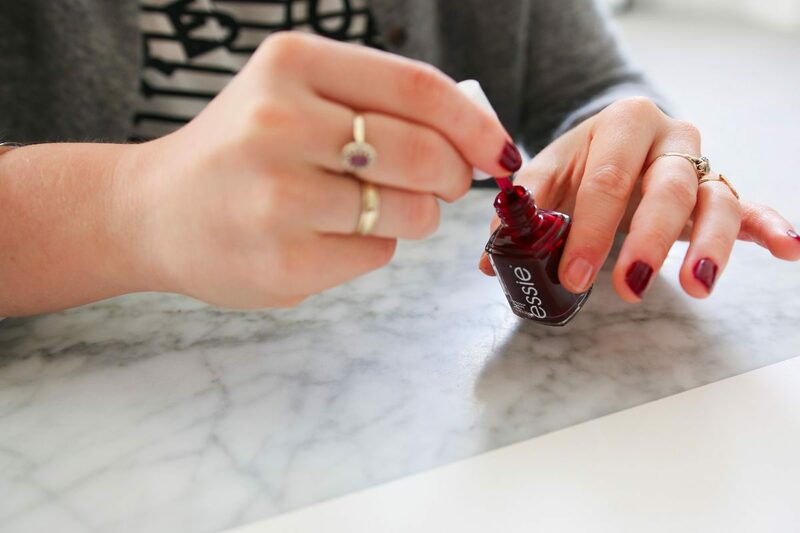 Last week was lips, so obviously this week HAS to be all about the nails…I’m ~finally~ getting all of my winter colours in check and am loving every minute of them. Dark reds, deep purples and, of course, allll the glitter. 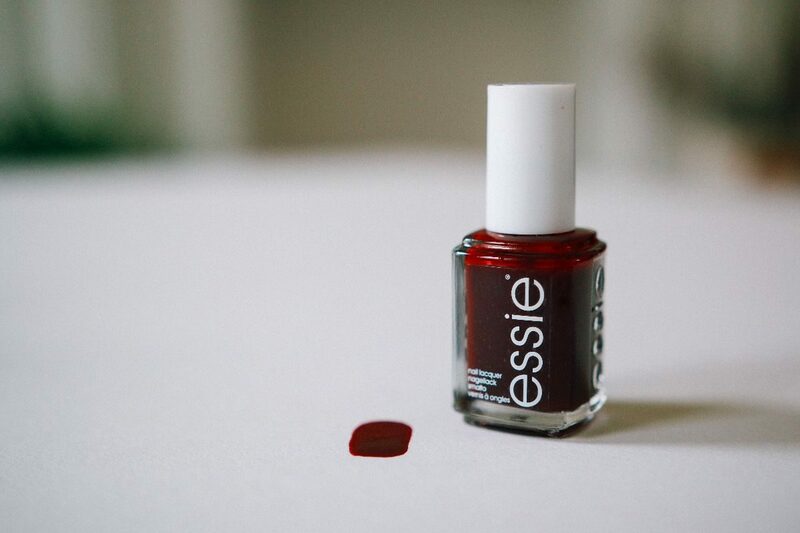 Although I use a whole range of different brands when it comes to polish, I have to say that Essie really is, and always will be, the best of the best…! They have the biggest selection of colours, they last forever and apply SO nicely! 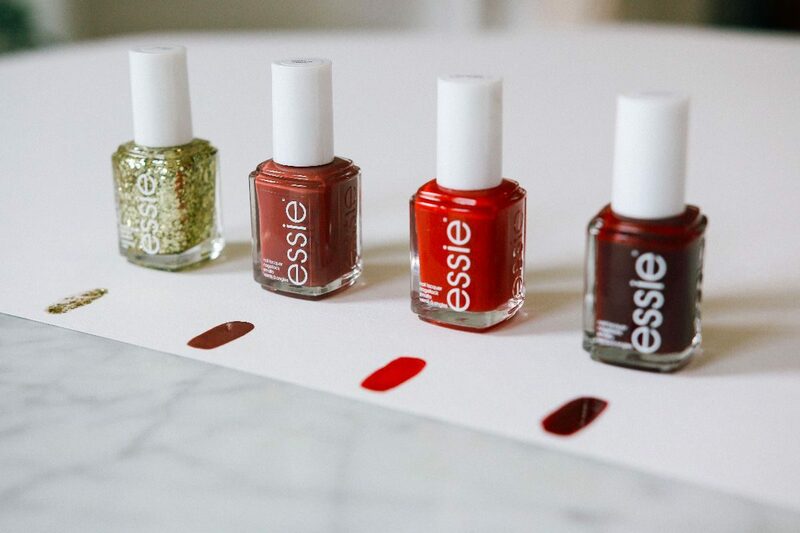 So, I thought I’d share with you the four Essie favourites that I’m loving right now and I hope you love them as much as I do ! 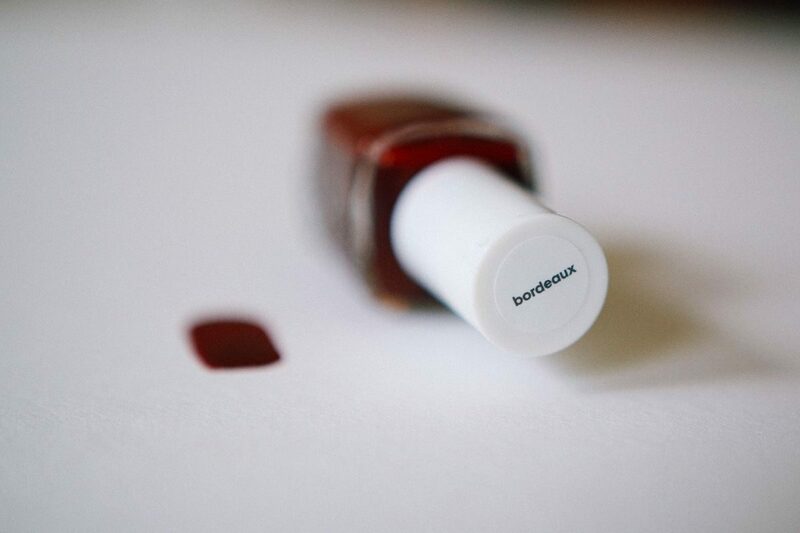 Bordeaux (£7.99): If you love a bit of matchy matchy, then this one is for you… There really is nothing better than a deep, dark, matching lip and nail situ (situ ?) and, for me, this colour really does mark the start of winter! 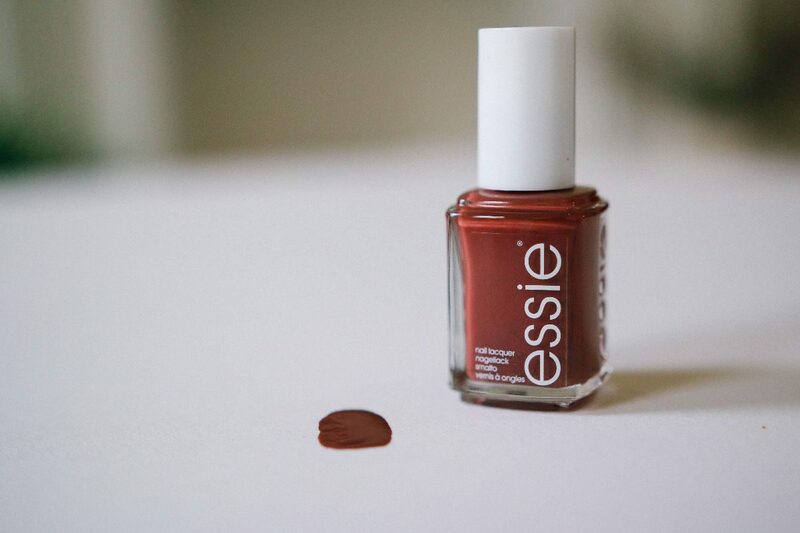 Unlike other darker shades, it smoothes on evenly and leaves your nails looking fabuuuulous after just one coat, yessssplz!! 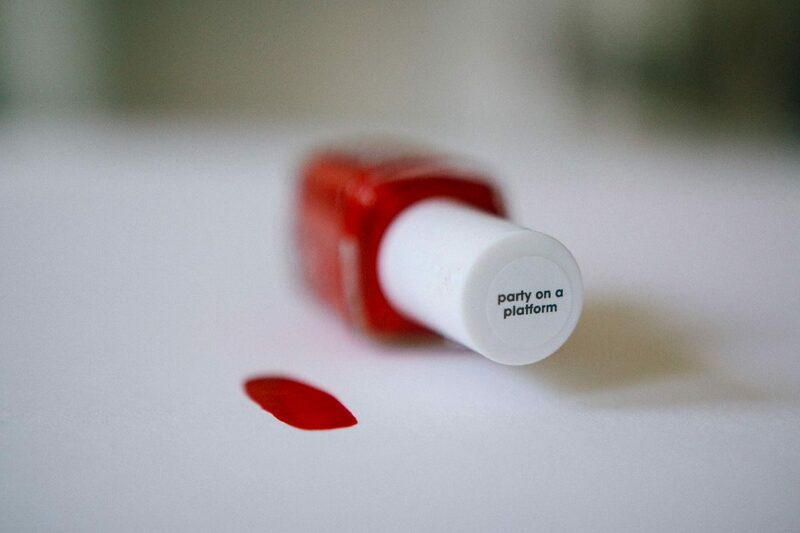 Party On A Platform (£7.99): Red nails always make me feel uber fancy…whether I’m sitting on my sofa watching Netflix or at a pooshhh partay, if my nails are red then I mean business! 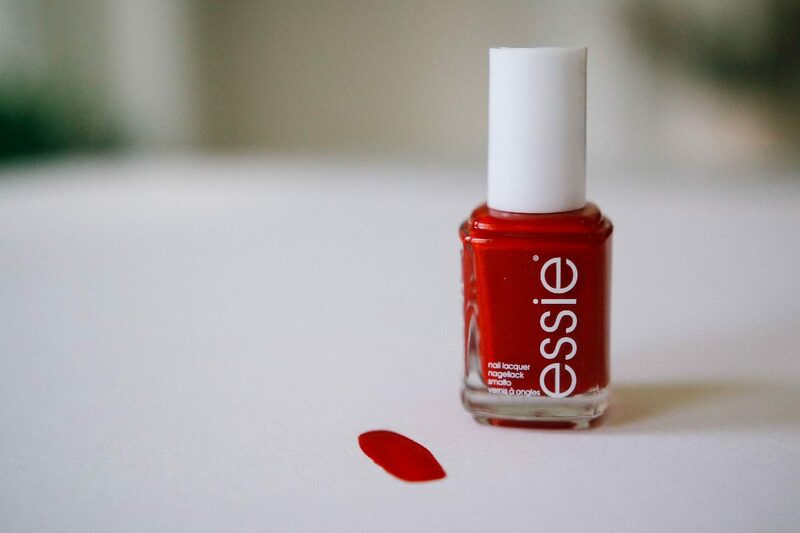 This one is my go-to for the classic red look…ya know, not to pinky, not too bright, it’s just the right amount of red. Okay that sounds strange, but I think you’ll know what I mean. 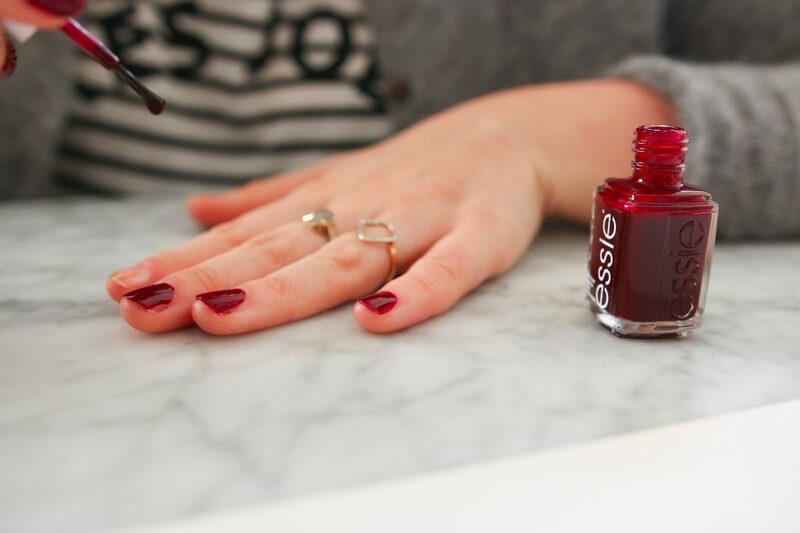 Anyway, if you love a red look all year round, then this is the perfect addition to your Christmas jumper this year – loveeee it! 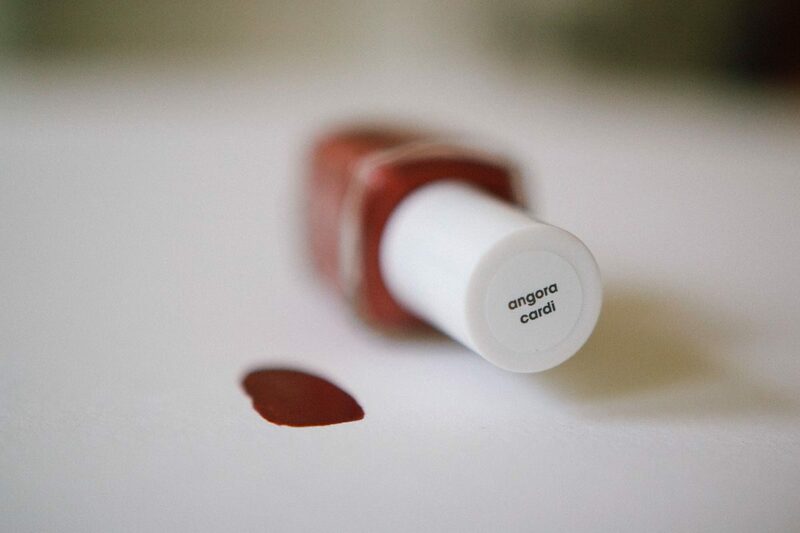 Angora Cardi (£7.99): If you’re more into the oh so naturallllll look then you’re going to LOVE this colour! 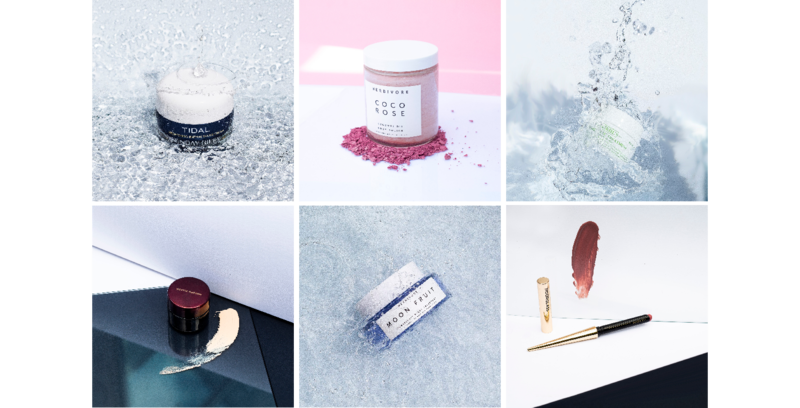 It’s my every day go-to pick right now and is perfect if you want something super subtle but with a little depth and warmth….Perfect for a more low key, but still super wintery, look! 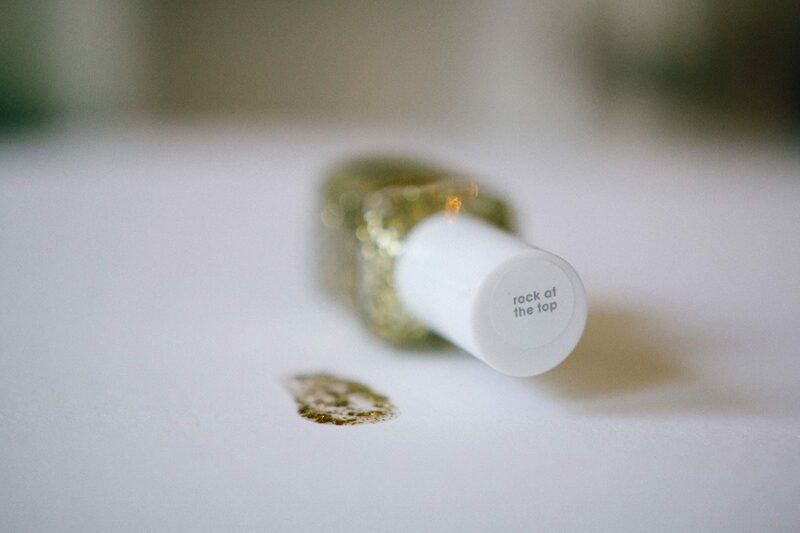 Rock At The Top (£7.99): I mean obviously I just had to include some glitter…it is nearly Christmas ya know! 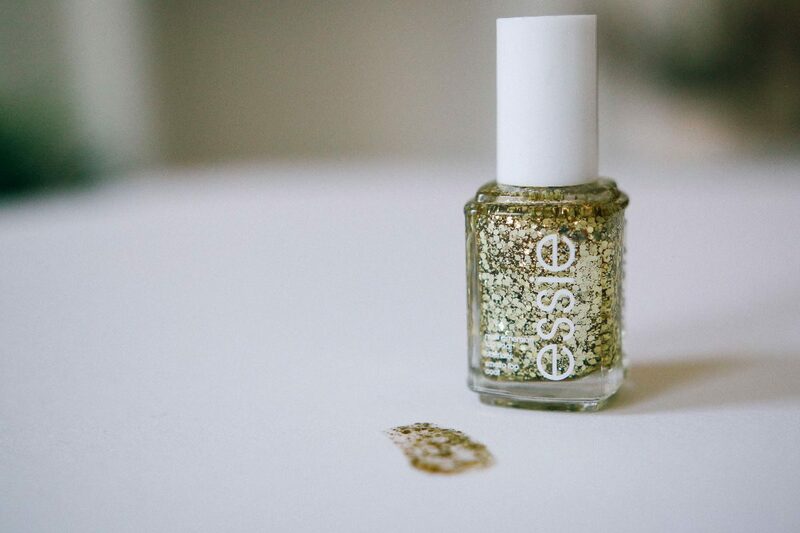 This one is amazing…whether you’re popping a top coat over one of the colours above, or just fancy a bit of glitz on it’s own…I’m hooked!